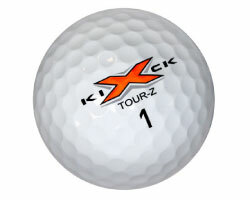 The Kick X Tour-Z(TM) Ball was designed with two things in mind - distance and feel. 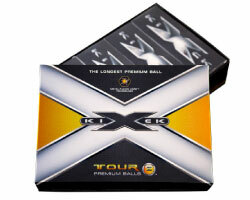 Through an independent study done at Golf Laboratories Inc. in Southern California, scientific tests concluded that the Tour-Z ball out distances every other ball on the market today. 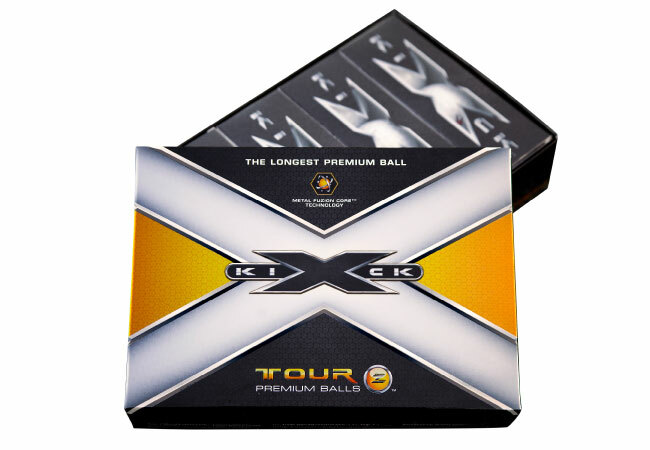 Unlike other balls that sacrifice feel for distance, Kick X engineers specially designed this ball with a super soft cover that provides amazing responsiveness, allowing golfers to dictate their shots with more control than ever before. 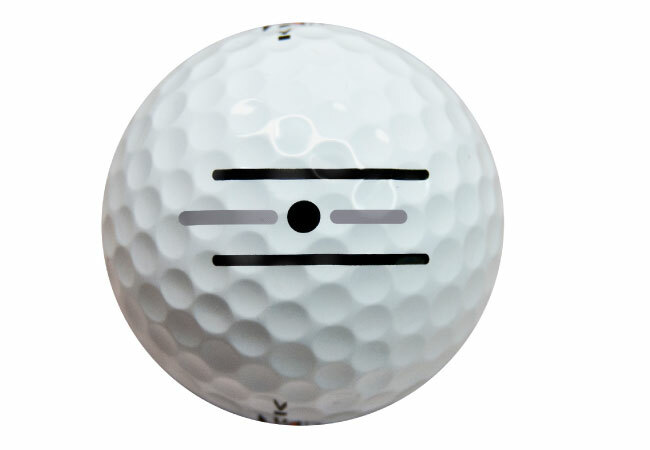 The Tour-Z's power mantle layer enhances ball compression to reduce driver spin and generate explosive launching power off the clubface, while the internal Metal Fuzion Core(TM) produces the highest level of C.O.R. seen on the market today. 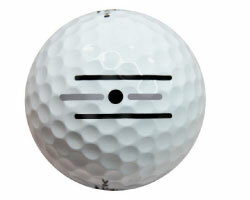 Once you get to the green, the Unique Z Alignment system makes it easier than ever to line up to the cup and sink putts every time. 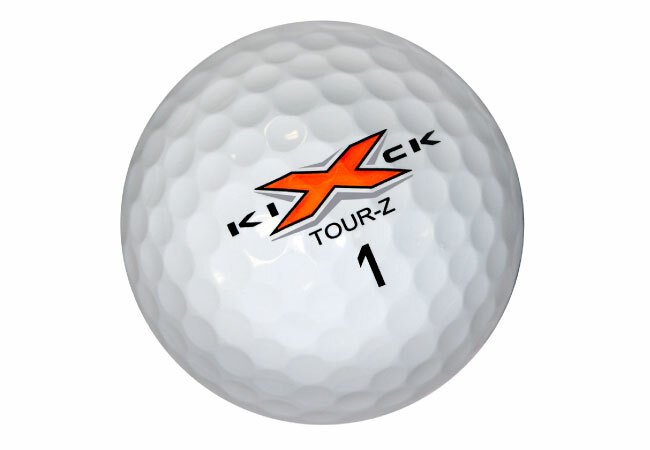 With its unmatched distance and remarkable accuracy, the Kick X Tour-Z truly is the one ball that does it all. A fusion of 3 carefully selected metals increases density for higher C.O.R.